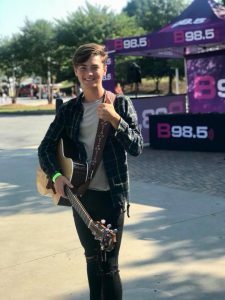 Marshall County’s own Carson Denfip has just advanced through the second round of American Idol auditions this morning in Atlanta, GA. According to his mother, Krystal Denfip, he was asked to perform “Too Close” by Alex Clare and “Fast Car” by Tracy Chapman. Denfip will now advance to the final round of auditions in front of the popular NBC show’s celebrity judges in Louisville, KY next month. We will be going live on the Marshall County Daily Facebook page this afternoon, when they return from the auditions, for a full interview with Carson. We are estimating a 4:30 PM start time. Stay tuned for more updates as we support him on this journey to the American Idol stage.